If ‘lead enrichment’ sounds mysterious, unknown, or overwhelming, we’re here to explain the basics and importance of enriching leads within the sales process. What Does It Mean to “Enrich” a Lead? Lead enrichment is a way of describing software that automatically performs lead research, often pulling information from many different sources into one place like a spreadsheet or CRM to save time. Leads generally come with some amount of information that was submitted by the user through a form. The typical example is a signup form, or some other kind of lead capture like a form that is filled out so the user can download a report or access a webinar. One challenge is balancing what your business absolutely needs to qualify a lead but also keeping this as minimal as possible to avoid a huge drop off of submissions. We’ve put a lot of thought into this as we iterate on our own signup flow, and our signup form includes first name, last name, job title, company, and phone number. Sometimes this information provides enough context to route a lead to the next step in the customer acquisition funnel, but often, more detail is needed. Sales managers usually distribute leads based on the territories of reps on the team and these territories are defined by account attributes like geography, company size by revenue and/or employee count. In the old days, marketing would use an intern to go look up these details for each lead before delivering it to sales. Fortunately, this time consuming and tedious work is now something computers can help with. We created Mattermark to assist in this process. Once leads have been properly distributed based on territory criteria, the qualification process begins. The key information gained from lead enrichment are facts about a company (and often a specific person in that company in the case of inbound leads coming through a form like trial signup) that are then used for lead qualification. These facts are evaluated to determine whether a company is a good potential customer, based on indicators that have lead to successful closes in the past. When sales professionals don’t adequately qualify leads early in the process, a lot of time can be wasted nurturing relationships that don’t ultimately convert into new deals. 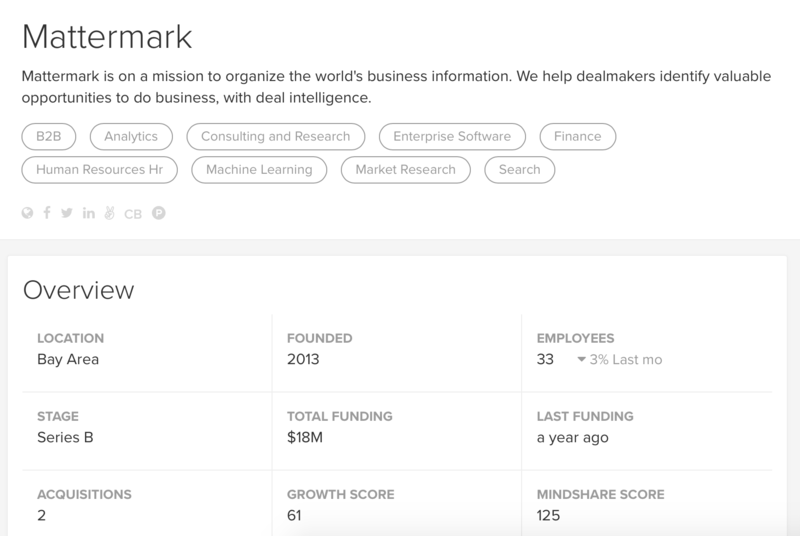 Lead enrichment is what Mattermark does. 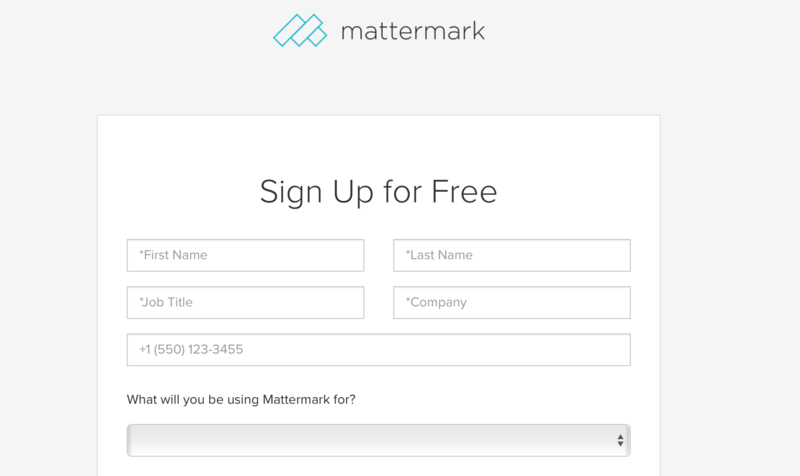 Mattermark provides lead enrichment solutions for Salesforce, Microsoft Excel, Google Sheets, through our API, as well as, CSV “flat file” exports. Mattermark helps sales professionals get the most up-to-date information about their leads, and getting started is as simple as signing up for a free 14-day trial. During your trial, you’ll explore the rich information that is available about your existing leads and the various ways you can enrich new leads through our integrations with Salesforce, Microsoft Excel, Google Sheets, and flat file exports.